During the 1887 expansion of Fort Robinson 6 adobe barracks were built on the south side of the parade ground. Later 2 frame barracks were added. Each building had a dormitory area 170 by 30 feet, a kitchen wing 70 by 30 feet, and housed a single troop, usually 50 to 75 soldiers. Cavalry troops occupied this row until 1916. New brick construction in the twentieth century replaced 3 barracks. The 5 remaining barracks were demolished in 1923. 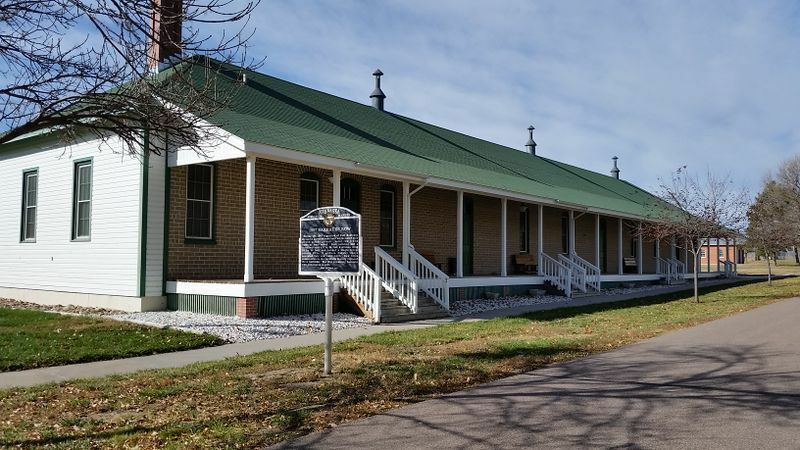 “1887 Barracks Row,” Explore Nebraska History, accessed April 19, 2019, https://mynehistory.com/items/show/135.